Sprouted lentils have several health benefits because they contain nutrients your body relies on for many functions. Sprout lentils by placing them in water for about 5 days, rinsing them every 12 hours to prevent rot. Use lentil sprouts in salad, soup, sandwiches, pizza, stir-fries and in breakfast bars. Sprouted lentils are a good addition to a low-calorie and low-fat meal plan, with 82 calories and less than 0.5 grams of fat per cup. A well-balanced diet that contains healthy foods such as sprouted lentils helps you control your weight, which reduces the risk of many health problems, including diabetes, obesity, heart disease and high blood pressure. A cup of sprouted lentils contains nearly 7 grams of protein. Your daily calorie intake should consist of 10 to 35 percent protein, or 50 to 175 grams per day for a 2,000-calorie diet. Getting adequate amounts of protein supports virtually every bodily function. It promotes healthy muscles, cells, hair, nails and skin, and provides you with energy. Protein is vital for the health and development of children as well. Carbohydrates are your body’s main source of energy, and you should get most of your carbs from whole grains, fruits, vegetables and legumes, making sprouted lentils an ideal choice. Your calorie intake should be 45 to 65 percent carbs, which is 225 to 325 grams per day for a 2,000-calorie diet. A cup of sprouted lentils contributes about 17 grams to your daily intake goal. A cup of sprouted lentils contains about 2.5 milligrams of iron. 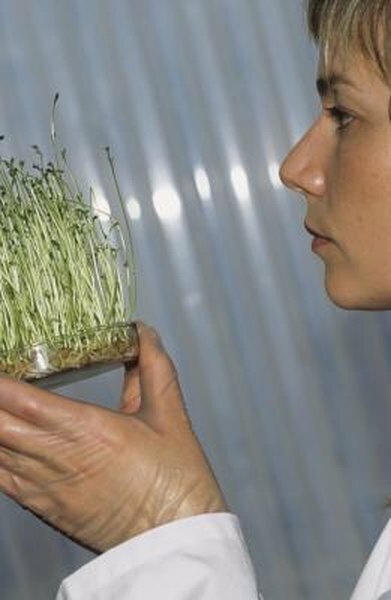 With daily intake recommendations being 8 mg for post-menopausal women and 18 mg for pre-women, sprouted lentils are a good way to ensure an adequate intake. Iron aids in transporting oxygen throughout your blood for delivery to internal organs that rely on it for healthy function. A deficiency could result in anemia, which produces symptoms that include weakness and fatigue. A cup of sprouted lentils provides you with 258 milligrams of potassium or roughly 5 percent of your daily intake goal. Potassium is important for several aspects of your health, including digestion, bone health and contraction of your muscles. Adequate potassium intake is also associated with a healthy blood pressure level, protecting you from developing heart disease.